Owning a home is the American Dream. In fact, most renters in a recent survey indicated that they'd like to buy a home. But the combination of tightened mortgage requirements after the 2008 housing crisis and the slow post-recession recovery of employment and income for many Americans has meant that many people may not qualify for a conventional mortgage. Having a spotty or poor credit history makes it hard to meet these mortgage requirements. The smart way to buy a home is to do thorough research, shop your financing with the financial institutions you do business with, and take your time. In these circumstances, alternative home financing methods such as rent-to-own contracts and land contracts can seem like an attractive way to purchase a home. However, opting for such methods can be a big mistake for many would-be home buyers. Although such financing options may offer advantages for some buyers, they present many pitfalls for unwary or vulnerable buyers. Many buyers using such methods have ended up without a home and have lost all the money they thought they were investing in the property. To complicate the problem, such financing methods offer buyers fewer legal rights or protections than conventional mortgages. To help you consider the potential disadvantages and advantages of such alternative home financing, this report gives you an overview and a brief look at several other ways of financing a home that may be accessible and safer. How Do Rent-to-Own Contracts and Land Contracts Work? Rent-to-Own contracts may also be known as "lease-to-own" or "lease option" contracts. In this type of contract, the owner of the home agrees to rent the home to the potential buyer for a set time period (usually 1 to 5 years) with the option to purchase the home for a set price (or appraised price) at the end of the period. The contract typically requires a non-refundable "option fee" up front. 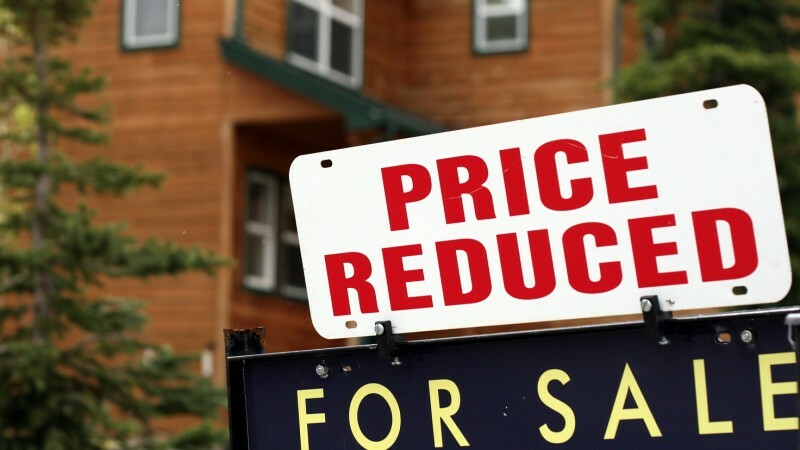 Depending on the seller, this fee could typically range from as low as 1 to 3 percent to as high as 7 percent of the selling price. If the renter eventually buys the property, this fee is usually applied to the purchase price. In addition, the renter/buyer typically pays a higher rent than would be typical for the property and a certain percentage of the rent, called "rent credit" is applied to the purchase price when and if the renter carries out the option to purchase the property. The potential advantages for the buyer are that to move into the house, they don't need a down payment and their credit history may not be a problem. During the rental period, they can save money to serve as a down payment for a conventional mortgage. In addition, the rental period gives the buyers time to improve their credit score and to establish a stable employment track record. The goal is to qualify for a conventional mortgage and purchase the home at the end of the option period. However, a rent-to-own contract can provide considerable downside for a potential buyer. First, state regulations on such contracts vary widely and every rent-to-own contract is unique. The exact wording of the contract can easily set all the terms in favor of the seller and to the potential detriment of the buyer. So if a buyer considers such a contract, it is very important that the buyer hire an experienced real estate attorney to make sure that the terms are fair and workable. Some of the downsides of rent-to-own contracts include losing your loan option and all your recent credit if you choose not to purchase the home (or can't get traditional mortgage). In some cases, contract wording (such as "lease-purchase option") may require that the buyer purchase the property at the end of the lease, which could leave the buyer vulnerable to a lawsuit to try to collect the total purchase price. Some contracts may require the renter (prospective buyer) to pay not just maintenance but also property tax, homeowner's insurance and the like. In a fair contract, the renter typically pays only repair and maintenance. Unscrupulous landlords can use a rent-to-own contract to gouge a renter for more money with no intention of ever selling. Even when a rent-to-own contract is fair to both seller and buyer, there may be other disadvantages to such financing. First, in a good real estate market for sellers there may be few rent-to-own options available for buyers. Those homes that are available as rent-to-own may have structural or other problems that have kept them on the market for a long time. The house may be in a depressed or declining neighborhood. For such reasons, it is important, even with a rent-to-own contract, to check out the home by having an inspection, appraisal and title search done. A land contract may also be known as a "contract for deed," "agreement for deed," "land installment contract" or "installment sale agreement." The land contract is another form of seller financing. Like rent-to-own contracts, state regulations vary widely and in general there is very little legal protection for the would-be buyer. A land contract typically requires the buyer to make a set number of payments for a set period to buy the house at an agreed upon price at an agreed interest rate. The buyer does not take title to the property until the contract is completely fulfilled (paid out). Typical contract terms include a ten year payment term with a big balloon payment at the end or a total payout over a set term of 20 to 30 years. In many typical land contracts, the buyer pays for all repairs, maintenance and improvements as well as for property insurance, property taxes and the like. However, the seller retains the title to the house or land, until the total contract is fulfilled. The big drawback to such land contracts is that the buyer has almost no legal protection. If the buyer fails to pay out the contract, then the buyer loses all the money the buyer has spent and invested in the property. During the buying period, even though the buyer is paying the seller interest, the buyer can't deduct that interest on income taxes because the buyer doesn't have the title to the property. The buyer is also not accruing equity in the home (though many think they are) and can't use the home as collateral for another loan. The worst potential danger is that the land contract terms are written so that if a buyer misses even one payment (or is late with the payment), the seller can foreclose on the property and keep all the money. Any buyer considering a land contract transaction should hire a real estate lawyer experienced in land contracts to protect the buyer's interest. Why Would a Buyer Consider Such Alternative Financing? The major reason that most buyers consider either a rent-to-own or land contract option is that they don't qualify for a traditional mortgage. Not having a down payment is a common reason potential buyers give. In other cases, the potential buyer has no established credit (such as a young, first time buyer) or a poor credit history. A recent spell of unemployment or a recent bankruptcy or foreclosure are other reasons for seeking alternative financing. Tip: Never assume that you don't qualify for a traditional mortgage. Always check it out. Talk to your credit union, bank or established mortgage broker about your ability to qualify. Consider special programs such as those described at the end of this report. Why Would a Seller Consider Offering Such Alternative Financing? Most commonly a seller offers such alternative financing because it is to their advantage financially. In some instances, sellers want a higher return on their investment than they can currently earn on such savings as deposit or CD account and thus a higher income flow. In more instances, sellers choose these options because they may be having difficulty selling the house. It may have been on the market a long time, it may be in bad condition and unlikely to qualify for a traditional mortgage, or it may be in a depressed area with lower market value than they want. Predatory and scam sellers, though a minority, know that they can take advantage of the complexity of these deals to confuse buyers and commit fraud. What Are Some Other Options for Buyers? There are a number of government supported programs that can help potential homebuyers realize their dream of purchasing a home and can also protect those buyers from many of the pitfalls associated with alternative financing means. These three offer a place to begin your research. The Federal Housing Authority (FHA) offers loan programs with low down payments, such as 3.5% down payments, which also have flexible underwriting standards. These terms make FHA loans good options for first time buyers, buyers who haven't saved up a large down payment and buyers who have shaky credit. For instance, the FHA Back-to-Work program enables potential buyers to apply for a home loan in as little as 12 months after a bankruptcy or the short sale or foreclosure of a previous home. The FHA doesn't make the loans directly to consumers but insures the loans which are made by other lenders. Read more about all types of FHA loans at www.fha.gov. If you are a veteran of the U.S. military services or a surviving spouse (who has not remarried), you may qualify for a VA loan that offers 100% financing—no down payment required. Like FHA, the VA insures the loans which are made through other lenders. Read more about VA loans and requirements at www.benefits.va.gov. You don't necessarily have to "buy the farm" to qualify for the 100% mortgages insured by the US Department of Agriculture. Suburban homes may qualify also. The program is intended to support homebuyers who have low to moderate incomes. Read more about these loans and their requirements at www.rd.usda.gov. Guaranteed loans are made through participating lenders, but the USDA also offers a Direct Loan Program. One of the biggest attractions of alternative financing options such as rent-to-own contracts and land contracts is that the home buyer can "purchase" and occupy a home very quickly without a lot of paperwork and upfront money. However, the pitfalls in that attitude and approach can cost thousands of dollars, wreck personal finances, and overwhelm buyers with problems. The smart way to buy a home is to do thorough research, shop your financing with the financial institutions you do business with, and take your time.